Get Ready to Sell on eBay! Make your house seem bigger and your wallet fatter by simply getting rid of things you no longer use. After numerous garage sales and letting stuff go way too cheap, I discovered I could sell on eBay! eBay has been an excellent way to rid our house of excess stuff. Why not earn a little extra money from things you no longer want? Preparation takes the intimidation out of selling on eBay! Take time to gather the proper resources and you will be ready to tackle your eBay pile! 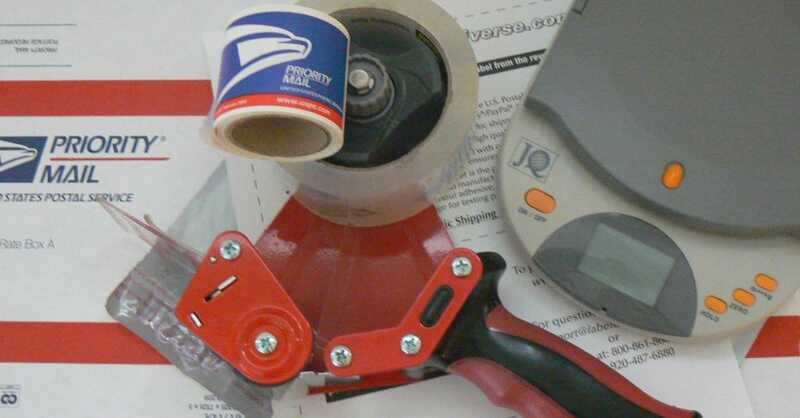 Shipping Priority Mail is always a good idea as it includes USPS Tracking®. Believe it or not, your eBay customers will dutifully watch their package location. Shipping Priority Mail also alleviates any problems with the customer claiming they have not received an item. Order a variety of Priority Mail Boxes as well as Flat Rate and Regional Rate Boxes. In some instances, it is cheaper to ship with Flat Rate and Regional Rate Boxes. Order Priority Mail stickers to use on boxes of your own. You will place these stickers on each side of your box to ensure mail sorters know, without doubt, it is Priority Mail. Just before Christmas a few years ago, I sent a package in a plain box with the Priority Mail sticker on the front. When I delivered the package to the Post Office, I asked the clerk if I could use Priority Mail stickers to put on each side. The clerk told me that wasn’t necessary and refused. Guess what? The package arrived late on Christmas Eve. The buyer was very upset and constantly emailing me. It is my conclusion that the package was sent Parcel Post because it wasn’t marked Priority Mail on each side. Priority Mail Boxes can be ordered free online and delivered right to your door. USPS.com also sells shipping labels and shipping scales, however, you may find them cheaper elsewhere. Order a variety of Priority Mail Boxes and Priority Mail stickers. Poly bags are an excellent way to mail items without the added weight of boxes. The 6 x 9 poly bags are great for smaller items and poly bubble mailers give you a little extra padding. Poly Bags are an excellent way to send smaller, lightweight merchandise via First Class Mail. Determine what size Poly Bags you will need and place your order. LabelUniverse sells labels that work perfectly with eBay shipping.It is also perfectly acceptable to print postage on regular typing paper and tape it to your box, although you must avoid taping over the barcode. If you choose to use Poly Bags, Labels are your best choice. Decide if you’d like to use paper or labels. A scale is necessary to weigh your merchandise for shipping. This is the scale I own. It works great for weighing light weight items. It would also be beneficial to own a scale with a digital readout that can be moved out of the way for larger packages. Save boxes and envelopes you receive merchandise in. You never know, they may work perfectly for something you’re ready to sell. A tape gun definitely comes in handy when it’s time to mail your packages. Purchase a Tape Gun or, at the very least, clear packing tape. I don’t use anything fancy and usually end up using my iPhone. Determine what you will be using to take pictures of your merchandise. Currently, my photo station consists of a piece of white fabric taped (with packing tape) to the wall and resting on the top of a shelf. Quite fancy, right? It actually works quite well as it is opposite a window that creates natural light. Many people often use Light Boxes. I never have but if you want to get super professional, it’s something to consider. Create an area to take clear close-ups of your merchandise. You’ve set up your eBay and PayPal accounts, gathered supplies, and cleared the clutter. 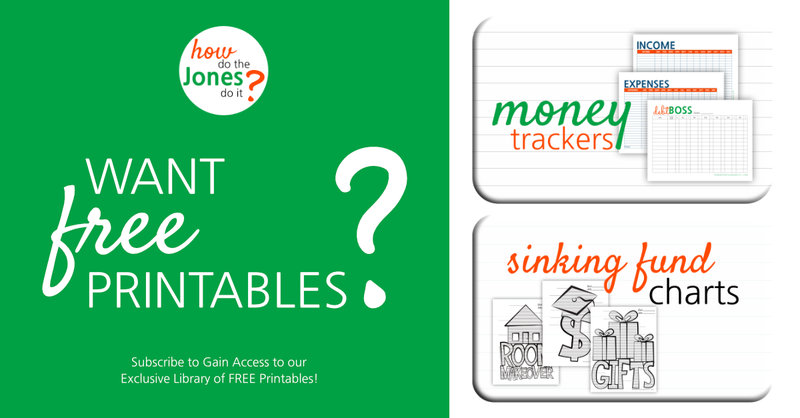 Now it’s time to turn that clutter into cash! You are ready to sell on eBay! I bought the poly bags you recommended and they work great! Even sold a car manual for a peeviously owned car on eBay….was about to throw it away and you suggested I try selling it! I had to repost it a couple times but made some good money and it didn’t get added to the landfill! Awesome! I’m sooo glad you are having success selling on ebay! It’s amazing that what we see as trash could be something someone else is looking for. Thank you for sharing your story!